Donate now to help us create a healthy and engaged community. Give today to help the Parks Foundation of Kalamazoo build the connection to a better tomorrow. The KRVT is more than a scenic nature trail. It's a way to connect people to places. 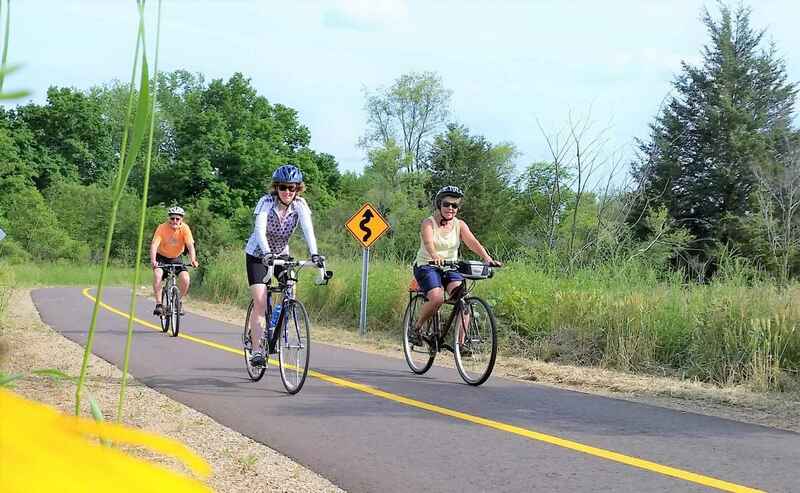 Your donation to the KRVT campaign will enable families to get out and enjoy nature, local professionals to commute to work, and neighbors to connect with each other...all within the safe, scenic environment of our rich regional ecosystem. 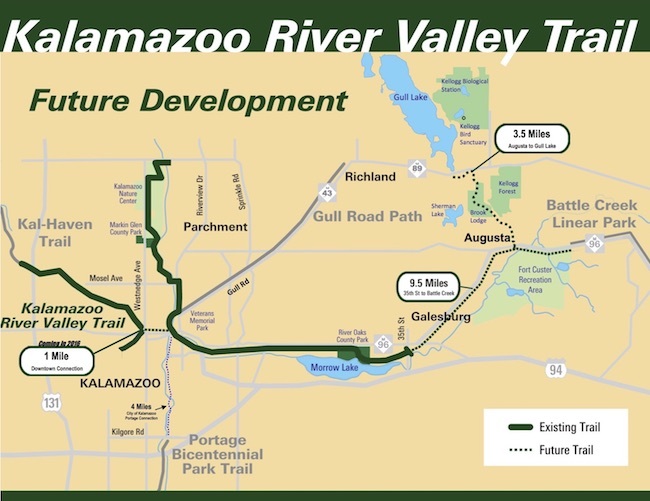 Once completed, the KRVT will provide surrounding communities (Kalamazoo, Galesburg, Augusta, Battle Creek and others) with easy access to local businesses, parks, and recreation areas such as Gull Lake, Kellogg Forest, Ft. Custer Recreation Area, and more. By strengthening connectivity between these communities, the completed KRVT will also boost tourism and economic development in our region. Find your place in the planned development map above. Then click the Donate button to help the Parks Foundation complete the final phase of this important local resource. We are so grateful to have this amazing trail in our community!